Acclimating to a new intranet platform can be a little daunting, especially when trying to figure out where to begin. To help you get started, below are the details of 5 essential areas of your new intranet that you'll want to be aware of, need to configure, or should just experiment with - along with some helpful links to continue your journey. So, go ahead and get Jostling! Setting up your Profile is a great and easy way to connect with your colleagues. By providing some professional and personal information about yourself. You can write a little about your background, highlight your talents, share your interests and hobbies, and make note of your expertise! Upload a new Profile picture. Add some fun facts about yourself to your Bio. Add some additional photos to your Attachments. A big step in making your intranet feel like YOUR intranet is to set your Preferences. Create settings for all the basics, including default view, language and date format; then dive deeper and manage over a dozen different notification settings. Choose what, why and how you want to be notified about practically everything! There are plenty of ways to get involved with your new platform, and making your voice heard via Likes, Comments and Shout-Outs are some of the easiest and most effective ways to do so. With Likes, you can show support for everything from a comment to an Event notice by clicking its “Like” heart. Have your say by posting a Comment on a News Article, a reaction to an Update in Activity or by chiming in on a Discussion. And since everybody likes to be acknowledged, go ahead do a Shout-Out for some colleagues! You’ll see how it can be a contagious way for everyone to recognize their peers. 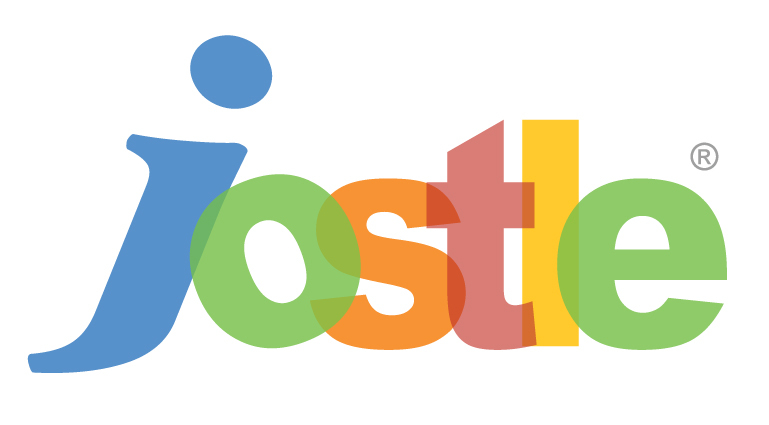 Having the Jostle mobile app means you can always stay connected to your organization even while you are away from the office. Available for both iPhone and Android, using the mobile app when you're on the go lets you seamlessly connect with team members, view documents, read the latest company news, post web articles and more - all right from the palm of your hand. When you need information, have a question, or require assistance, just knowing where to go is half the battle won. And since you don’t want to be searching high and low for help, we’ve made our Help your intranet’s springboard to all forms of Support, with direct access to services, documentation, and resources. Access your Profile, Preferences, Help and anywhere else in your intranet via Main Navigation. Lose the clutter and confusion of the email cycle with Discussions.